Powerful technology combines with simplicity in the Smart TV Box. Your Smart TV Box easily connects to your television to open up a world of home entertainment- watch what you want when you want. The Android Smart TV Box itself is a compact Android device that connects to your HDTV -no Smart TV required. Stream the best entertainment from the best apps, straight to your TV. Simply connect the Android Smart TV Box to the internet either wirelessly or via Ethernet, then to your TV set with a HDMI cable to begin enjoying high quality home entertainment through your Android Smart TV Box. You will be amazed at the sheer amount of home entertainment available to you when you buy an Android Smart TV Box. This truly is a powerful and practical source of home entertainment. What makes this even better is that all of this high quality home entertainment can be enjoyed in the comfort of your own home and with your own surroundings. Make your living room into your own personal cinema – even pause and resume a film if you want to get up to grab a drink. Have some friends over, or just spend some quality family time fascinated by intriguing documentaries or fixated on an animated movie marvel. The Android Smart TV Box will quickly become your best friend when it comes to catching up on your favourite TV shows – choose the seasons and episodes you wish to watch at the simple touch of a button. 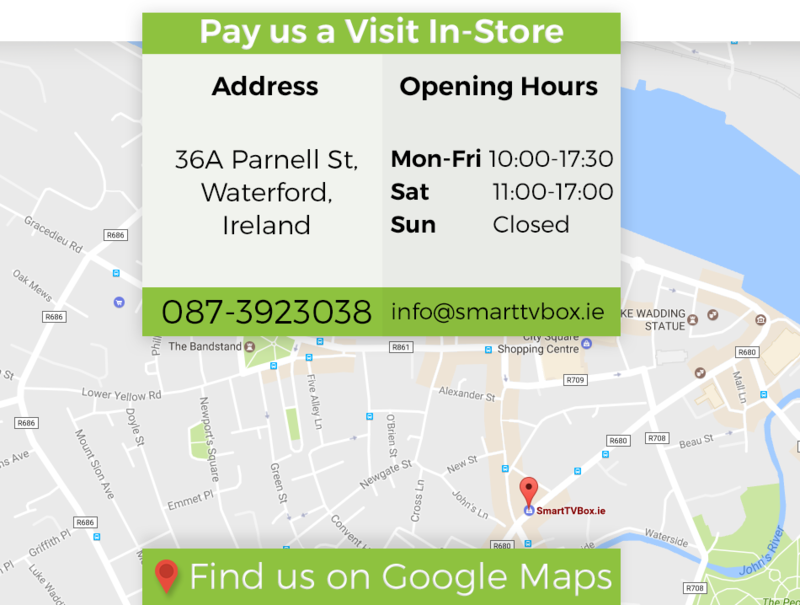 Here at Smart TV Box, we have put all of the hard work into making the Android Smart TV Box a user friendly experience to you. Should you need any help, we have support options available via phone and e-mail, our FREE ebook is a must to have and is included with each box purchase, to ensure that you can use you Android Smart TV Box as a powerful and simple home entertainment tool, as intended. As content is streamed instead of downloaded, you do not have to worry about storage space or sluggish speeds. Once you have a solid and swift internet connection, the content comes straight to your TV for you to enjoy. The Android Smart TV Box also makes an ideal present. Open up a world of simple and powerful home entertainment that the whole house will enjoy.